FreedomPop Archives · Stop the Cap! Luxurious wireless industry profits of up to 50 percent earned from selling some of the world’s most expensive cellular services may soon be a thing of the past as Google and Cablevision prepare to disrupt the market with cheap competition. With more than 80 percent of all wireless data traffic now moving over Wi-Fi, prices for wireless data services should be in decline, but the reverse has been true. AT&T and Verizon Wireless have banked future profits by dumping unlimited data plans and monetizing wireless usage, predicting a dependable spike in revenue from growing data consumption. 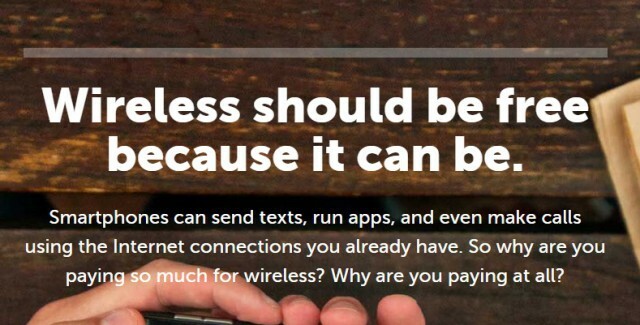 Instead of charging customers a flat $30 for unlimited data, carriers like Verizon have switched to plans with voice, texting, and just 1GB of wireless usage at around $60 a month, with each additional gigabyte priced at $15 a month. With the majority of cell phone customers in the U.S. signed up with AT&T or Verizon’s nearly identical plans, their revenue has soared. Sprint and T-Mobile have modestly challenged the two industry leaders offering cheaper plans, some with unlimited data, but their smaller cellular networks and more limited coverage areas have left many customers wary about switching. Google intends to remind Americans that the majority of data usage occurs over Wi-Fi networks that don’t require an expensive data plan or enormous 4G network. The search engine giant will launch its own wireless service that depends on Wi-Fi at home and work and combines the networks of Sprint and T-Mobile while on the go, switching automatically to the provider with the best signal and performance. Cablevision’s offer, in contrast, will rely entirely on Wi-Fi to power its mobile calling, texting, and data services. 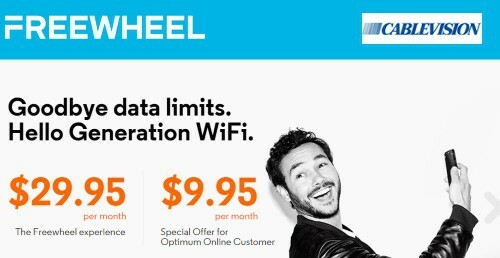 Dubbed “Freewheel,” non-Cablevision customers can sign up starting in February for $29.95 a month. Current Cablevision broadband customers get a price break — $9.95 a month. Cablevision’s dense service area in parts of New York City, Long Island, northern New Jersey and Connecticut offers ample access to Wi-Fi. Cablevision chief operating officer Kristin Dolan said its new service would work best in Wi-Fi dense areas such as college campuses, business districts, and multi-dwelling units. New York City is working towards its own ubiquitous Wi-Fi network, which could theoretically blanket the city with enough hotspots to make Cablevision’s service area seamless. But the biggest deterrent to dumping your current cell phone provider is likely to be available coverage areas. Google’s answer to that problem is combining the networks of both Sprint and T-Mobile, offering customers access to the best-performing carrier in any particular area. While that isn’t likely to solve coverage issues in states like West Virginia and the Mountain West, where only AT&T and Verizon Wireless offer serious coverage, it will likely be sustainable in large and medium-sized cities where at least one of the two smaller carriers has a solid network of cell towers. Scratch Wireless charges once for its device – a Motorola Photon Q ($99) and everything else is free, as long as you have access to Wi-Fi. Cell-based texting is also free, as a courtesy. If you need voice calling or wireless data when outside the range of a hotspot, you can buy “access passes” to Sprint’s network at prices ranging from $1.99 a day each for voice and data access to $24.99 a month for unlimited data and $14.99 a month for unlimited voice. Google is pushing the FCC to open new unlicensed spectrum for expanded Wi-Fi to accommodate the growing number of wireless hotspots that are facing co-interference issues. Wi-Fi-based wireless providers are likely to grow once coverage concerns are eased and there is reliable service as customers hop from hotspot to hotspot. The cable industry has aggressively deployed Wi-Fi access with a potential to introduce wireless service. Comcast is already providing broadband customers with network gateways that offer built-in guest access to other Comcast customers, with the potential of using a crowdsourced network of customers to power Wi-Fi coverage across its service areas. FreedomPop will eventually seek customers to volunteer access to their home or business networks for fellow users as well. AT&T and Verizon are banking on their robust networks and coverage areas to protect their customer base. Verizon Wireless, in particular, has refused to engage in price wars with competitors, claiming Verizon customers are willing to pay more to access the company’s huge wireless coverage area. AT&T told the Wall Street Journal its customers want seamless access to its network to stay connected wherever they go. Verizon’s chief financial officer Fran Shammo appeared unfazed by the recent developments. On last week’s conference call with investors, Shammo dismissed Google’s entry as simply another reseller of Sprint’s network. He added Google has no idea about the challenges it will face dealing directly with customers in a service and support capacity. While Google’s approach to combine the coverage of T-Mobile and Sprint together is a novel idea, Shammo thinks there isn’t much to see. Investors are taking a cautious wait-and-see approach to the recent developments. 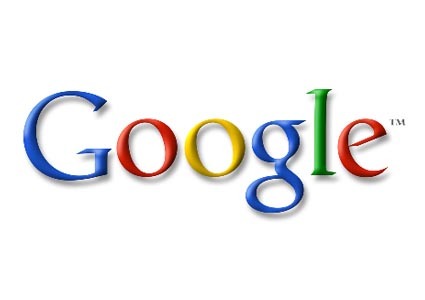 Google’s new offering is likely to offer plans that are philosophically compatible with Google’s larger business agenda. Challenging the traditional business models of AT&T and Verizon that have implemented usage caps and usage pricing may be at the top of Google’s list. The new offering could give large data allowances at a low-cost and/or unlimited wireless data for a flat price. Such plans may actually steal price-sensitive customers away from Sprint and T-Mobile, at least initially. Sprint is clearly worried about that, so it has a built-in escape clause that allows a termination of its network agreement with Google almost at will. Sprint has begun decommissioning its increasingly obsolete 4G WiMAX network with definitive plans to shut off the service completely by the end of 2015. While most Sprint customers with smartphones have long since moved away from WiMAX, Sprint has resold access to the 2.5GHz network for some prepaid Boost, Sprint, and Virgin Mobile customers as well as third parties including FreedomPop and Earthlink. WiMAX was the first 4G network in the United States, launching first in Baltimore in the fall of 2008. Sprint customers were offered the HTC Evo 4G smartphone to access WiMAX’s faster speeds. 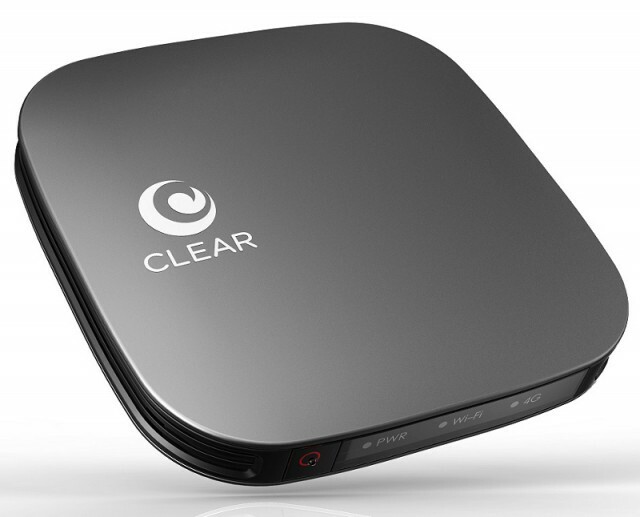 Separately, Clearwire marketed access to WiMAX as a wireless home and business broadband solution. WiMAX was often promoted as a longer distance alternative to Wi-Fi, and was initially capable of 30-40Mbps speeds. In practice, WiMAX in the United States never achieved great success. Sprint and Clearwire’s network was never built out sufficiently to provide nationwide coverage, and because it relied on very high frequencies, even customers inside claimed service areas often dealt with reception problems, especially indoors. Clearwire’s home broadband replacement often required reception equipment be placed near a window, preferably one without a thermal coating that could block or degrade the signal. The same year WiMAX was introduced in Baltimore, Network World was already warning the technology was in trouble. 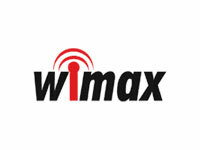 By 2011, the magazine had officially declared WiMAX dead. “There was way too much hype surrounding WiMAX (like the White Spaces today, it was marketed as ‘Wi-Fi on steroids’ and a replacement for Wi-Fi; such was, of course, complete nonsense)”, the magazine wrote. Other American wireless carriers showed little interest in WiMAX, particularly as competing 4G technologies including HSPA+ and LTE were nearing deployment. Despite the promise of greatly enhanced data speeds with the next generation of WiMAX, dubbed WiMAX 2, many of the world’s largest wireless carriers were already preparing to move on. In particular, China Mobile (and its 600 million customers) became the decisive factor that turned WiMAX 2 into a bad bet. China Mobile decided the better choice was TD-LTE, a variant of LTE technology. With China Mobile providing service to 10 percent of the world’s mobile users all by itself, support for TD-LTE grew and attracted equipment manufacturers that saw the earnings potential from selling tens of millions of base stations. TD-LTE is an excellent upgrade choice for WiMAX operators because it was designed to work best at high frequencies ranging from 1850-3800MHz — the same frequency bands that WiMAX already uses. Sprint expects to decommission at least 6,000 of its 17,000 WiMAX cell sites. Another 5,000 of those sites have already gotten TD-LTE technology, a part of Sprint’s broader LTE network upgrade. Sprint will combine its FDD-LTE network in its 800MHz and 1.9GHz spectrum with a TD-LTE network in its 2.5GHz spectrum. Sprint Spark customers are being offered tri-band equipment that can access either technology. Sprint can use its massive expanse of 2.5GHz spectrum to offload data usage from its lower frequency spectrum, especially in large cities. Another 5,000 legacy Clearwire cell sites will be upgraded to TD-LTE between now and the end of next year. Sprint expects to deploy TD-LTE more widely than WiMAX, potentially serving 100 cities and 100 million base stations by 2016. Sprint has protected much of its postpaid customer base from the transition by repeatedly encouraging customers to upgrade to LTE service, now being rolled out as part of its Network Vision plan. But firms like FreedomPop and others that now lease access to the WiMAX network will leave their customers with a shorter upgrade path when WiMAX equipment stops working, requiring users to upgrade to LTE equipment. FreedomPop, which offers 500MB of free wireless data service a month via Clearwire’s WiMAX service on a range of devices, has a better offer for tablet owners coming in the second half of this year. The FreedomPop Clip is designed to attach to Wi-Fi only tablets and provides wireless Internet connectivity when away from Wi-Fi. Better still, the service will be free for the first 500MB of usage each month and will support Sprint’s up-and-coming 4G LTE network for faster browsing. The add-on hardware only weighs 2.5 ounces and has its own built-in rechargeable battery estimated to last up to six hours. Tablets enabled with support for mobile data networks have never sold particularly well because of the added cost and expensive two-year contract required to maintain the service. Instead, some customers tether their tablets or enable an add-on Mobile Hotspot feature on their smartphone, which can cost $30 extra per month. The new FreedomPop Clip does not come with a contract or a monthly fee when users keep browsing to under 500MB each month. The forthcoming device will also support up to eight extra connections, in case you want to share. Those who want more data, and around 30 percent of FreedomPop’s customers reportedly do, they can buy it on-demand without any contract or commitment. If you bug your friends to also buy the device, you can earn additional free browsing. In fact, FreedomPop will try and encourage sharing by including a new “open Wi-Fi” Internet service on a separate SSID. Those connecting through the open feature will likely get a marketing message encouraging them to get their own FreedomPop device, and their usage won’t count against your allowance. FreedomPop Clip supports Sprint’s up and coming LTE 4G network. Stop the Cap! has FreedomPop’s $99 iPod Touch add-on device, which works exclusively on Clearwire’s network. We’ve used it for about five months and can report the device works well whether you actually have an iPod or not. It is simply a portable hotspot shaped to clip to the back of the 4th generation iPod Touch (it won’t fit ours). But even if it cannot clip on, it still delivers excellent signals up to 12 feet away from the MP3 player. Its biggest weakness is Clearwire’s hit or miss network. Here in suburban Rochester, N.Y., Clearwire provides service through a nearby cell tower about a mile away. At home, the device works with fair reception indoors, but really needs to be near a window to perform reliably. Outdoors, the device works much better. We found more trouble trying to use the device in a nearby restaurant and while in downtown Rochester because Clearwire reception proved spotty. When it does work, it provides an average of 800kbps-1Mbps downstream speeds, which is superior to most 3G networks, but does not come close to what Verizon’s LTE network can deliver. But then, FreedomPop data comes free. Just remember to keep usage at 400MB or less every month. As you approach 500MB of usage, FreedomPop will “conveniently” bill you for additional usage it anticipates you will use unless you remember to shut this auto top-up feature off on FreedomPop’s website control panel. You must also use at least 5MB a month to keep the device active, so remember to power it up at least once a month and do some browsing. The FreedomPop LTE-capable Clip will also reportedly work with 3G service, according to Forbes. This is an important consideration because Sprint’s 4G LTE network is still in its infancy and not yet available in most major metropolitan areas. But if it relies on Sprint’s overwhelmed 3G network, expect much slower performance. The selling price for the device itself has not yet been announced, but we expect it will be available later this year at $99 or slightly higher. Thanks to Stop the Cap! reader Jerry for sending this news tip. 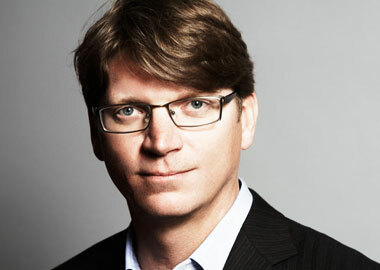 “Disruptive” is perhaps too timid a word to use for Skype co-founder Niklas Zennstrom, the man who brought Excedrin-strength headaches to the music industry with file-swapping software Kazaa and streamed video across the net for free with Joost. Now he wants to blow up America’s business model for expensive wireless data by literally giving it away to wireless phone users. FreedomPop has a “freemium” business model of its very own — give away 1GB of 4G data through Clearwire to iPhone owners willing to use FreedomPop’s WiMAX-fitted phone case with the hope users will throw more business their way for around $10/GB after the first gigabyte is gone. Clearwire has been in the mood to make deals with all-comers to leverage its WiMAX network that carriers like Sprint plan to abandon for LTE 4G service in the not-too-distant future. By giving away 1GB of free usage (and it remains unclear whether this is a “one-off” deal or if the meter resets to zero every month), the company is set to draw plenty of free press. FreedomPop is likely to appeal to price-sensitive customers who don’t want to pay providers $30 a month for 2-3GB of usage when a much smaller, cheaper data plan combined with the free service will do. The WiMAX case, which will fit over Apple’s iPhone, also acts as a mobile hotspot, supporting up to eight concurrently-connected devices. No change of phone is required as users can connect to the service through Wi-Fi. Customers will have to place a deposit on the case, likely less than $100, refundable when returned in good condition. With most people not exceeding 1GB of usage per month, the only cost will be the “bare minimum” data plan customers are required to take with AT&T, Verizon Wireless, or Sprint, which currently runs $15-20 for a few hundred megabytes. Clearwire’s WiMAX doesn’t deliver coverage to all points in the United States, and its speeds are considerably lower than 4G LTE service. But free is free – a concept NetZero hopes to use to pitch a similar free 4G Clearwire WiMAX service. The primary difference is your granted usage allowance. 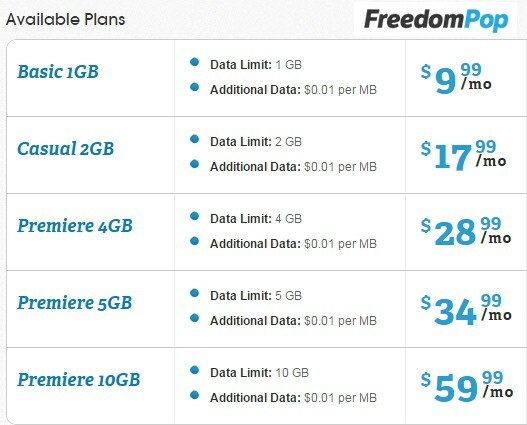 FreedomPop will provide 1GB — NetZero 200MB.